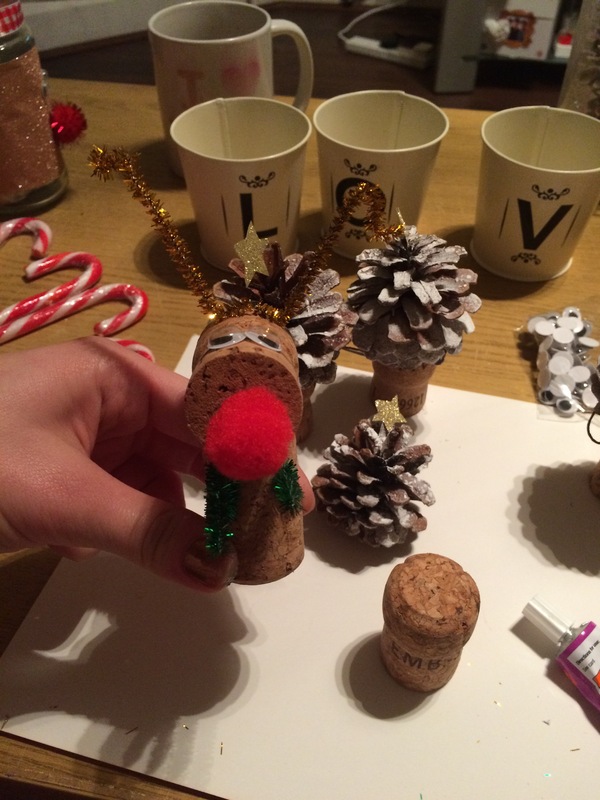 Tis the season to be creative… yes that even means if you have no arty skills whatsoever. 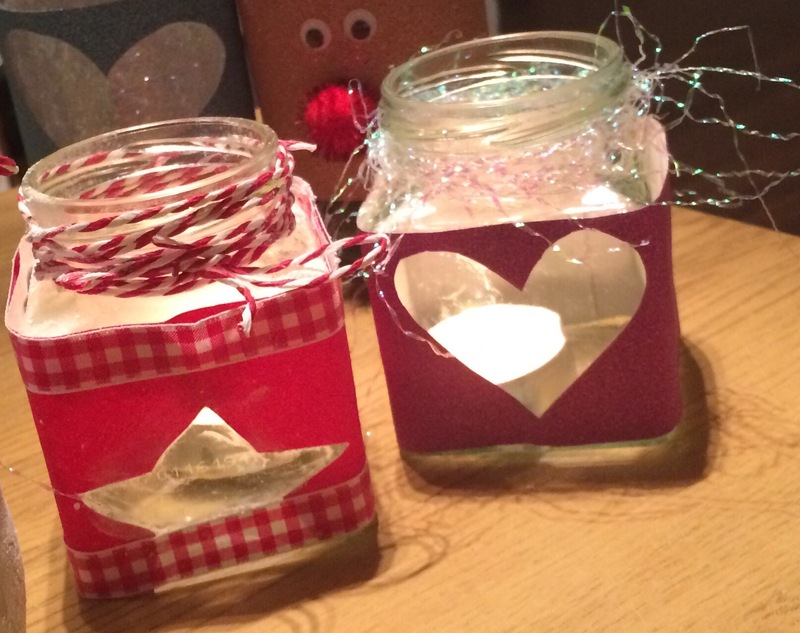 You really don’t need to be no Picasso to have a go at making these simple decorations. The festive season is not only indulgent on the waistline but it can also mean diving a little too deep into your purse. 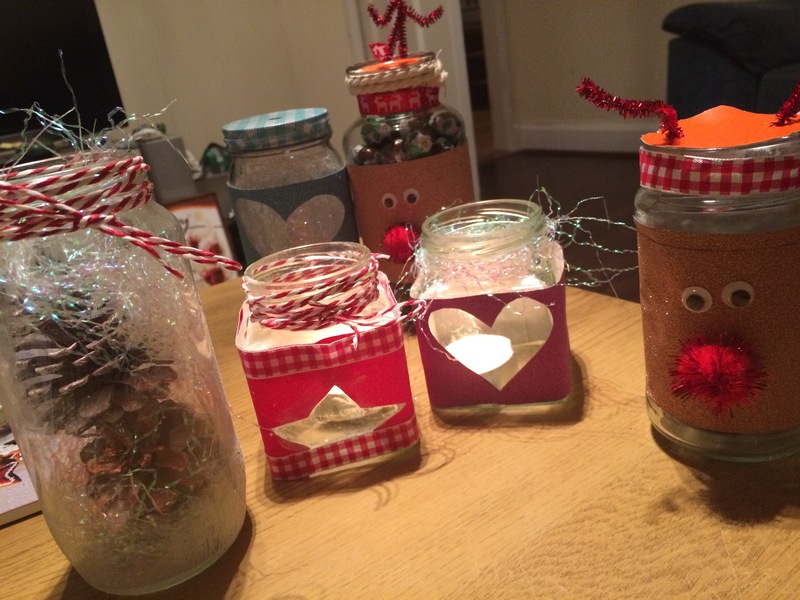 December is just around the corner so if you’ve got decorations on your mind but don’t want to break the budget, i’ve put together a handy guide to making your home festive under £5. I will keep this page updated with my latest suggestions for you to try at home so keep checking back for more ideas. These are super easy to make and can easily be done with bits and bobs from around the house. Old jam and chutney jars are perfect to use after a good soaking but if no-one is a fan of the cranberry sauce and the jars aren’t going fast you can always pick up a choice of maison and preserve jars for £1 at stores like Wilko and Poundland. How cute are these! 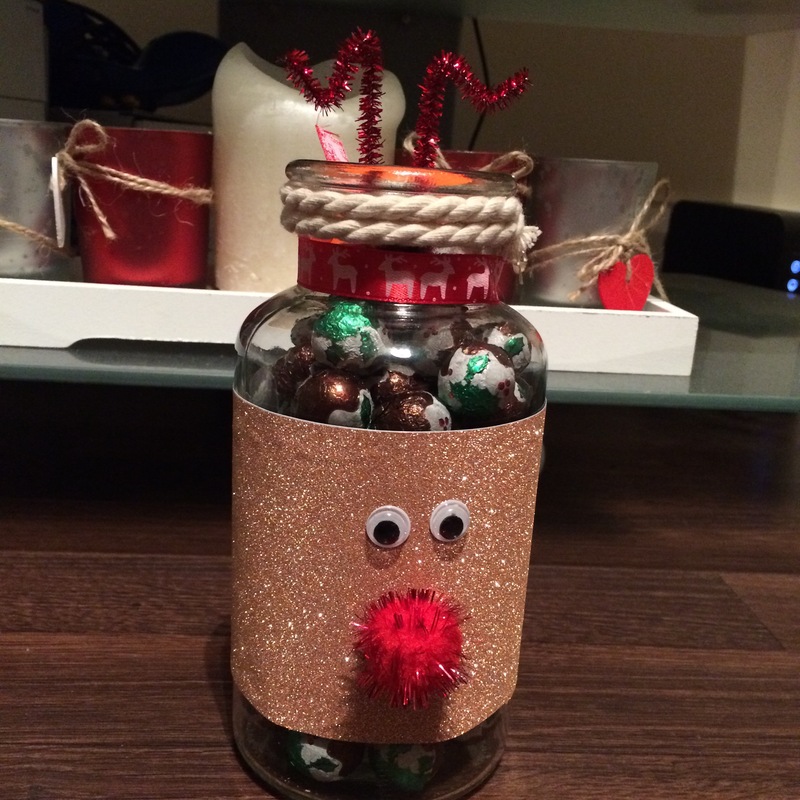 I made two and filled one with mini Christmas pudding shaped chocolate balls… because who doesn’t want more treats on top of the advent calendar?! These are so simple and can easily be done with items you already have from around the house. 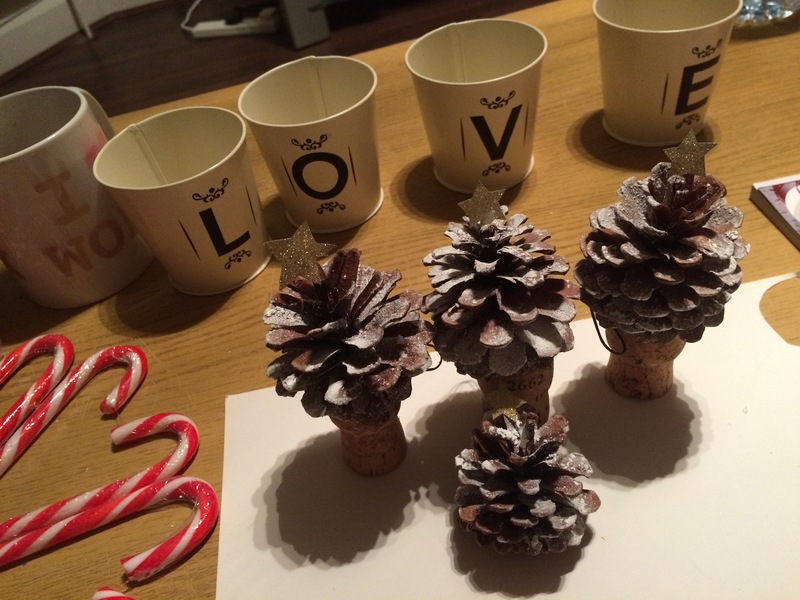 They are lovely decorations for anytime of the year and can easily be turned Christmasy by filling with glitter snow and adding festive ribbon. I loved making these super easy decorations and believe me when I say ANYONE can make these at home. I mean, who doesn’t have cava corks lying around the house already? And if not… what a great excuse to pop a bottle of wine. 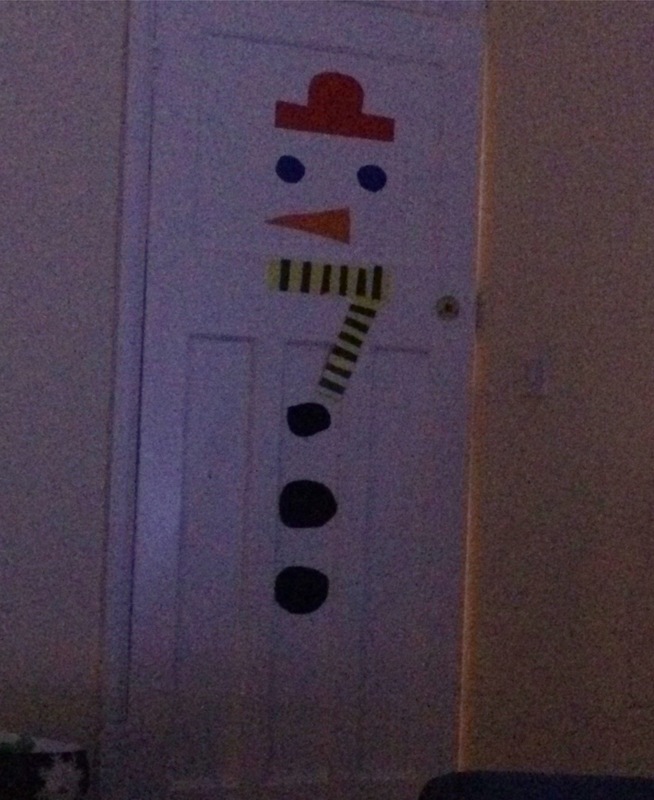 Who needs snow when you can make your own snowman on your doors at home?! I think it just looks adorable and the best thing is you can use everything you already have at home and it’s so so easy and quick to do! These DIY decs take so little time to make you’ll still have time to put your feet up, pour another glass and snuggle up watching your favourite Christmas movie. They’re so cute for around the house and your guests and little ones will love them too. 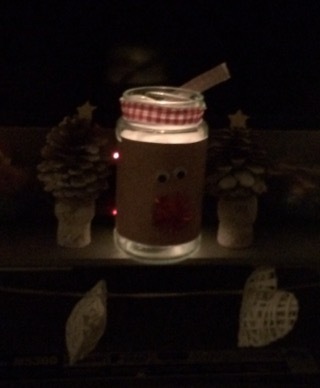 Enjoy your creative night in and why not treat yourself to a mince pie and Buble playing in the background! 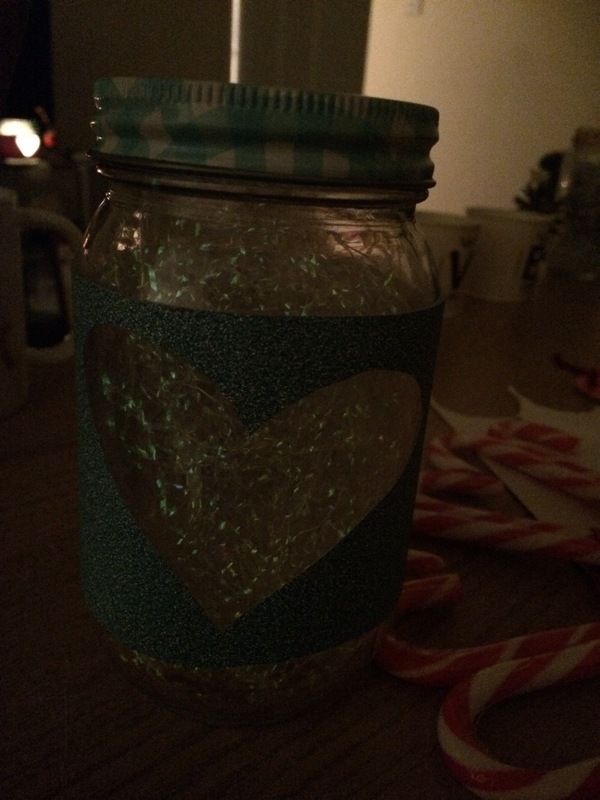 I’m not usually very artsy and crafty, but there’s something about listening to Michael Buble’s Christmas album that really made my creative side come out. 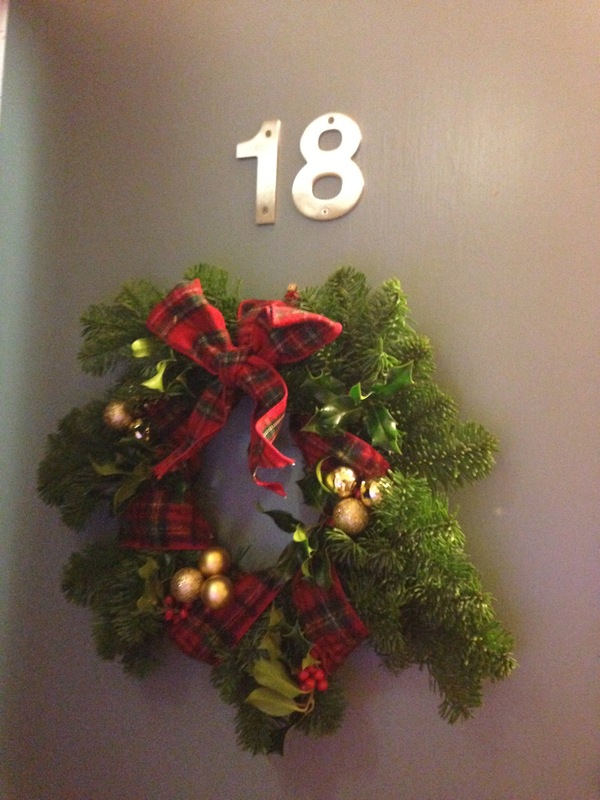 So, as we sang along to Buble’s version of ‘It’s beginning to look a lot like Christmas’, with a sparkly pile of baubles and fresh-from-the-tree sprigs of holly spread across the table , me and my housemate got craft-happy with our first homemade creation- a Christmas wreath. 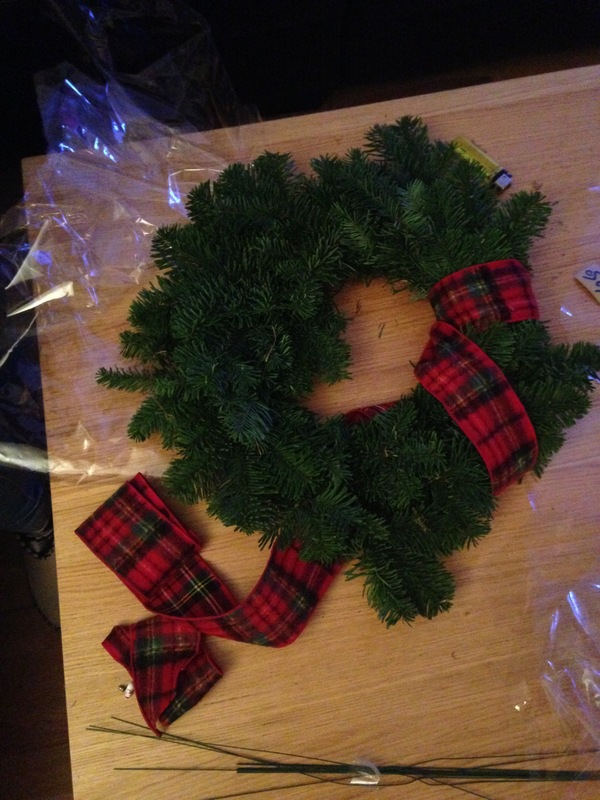 Step 1: Wrap ribbon around the wreath, leaving an equal distance between each turn. 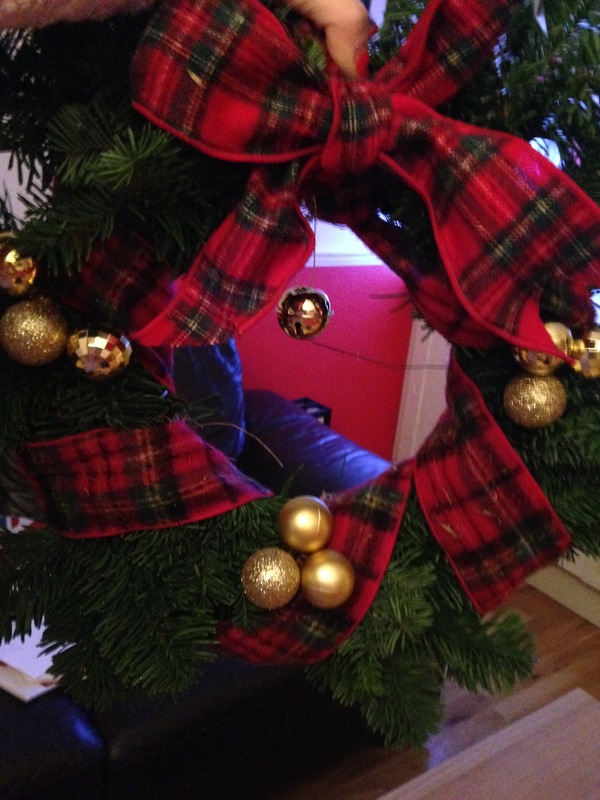 We chose this tartan print because it looks so festive and cute against the greenery! 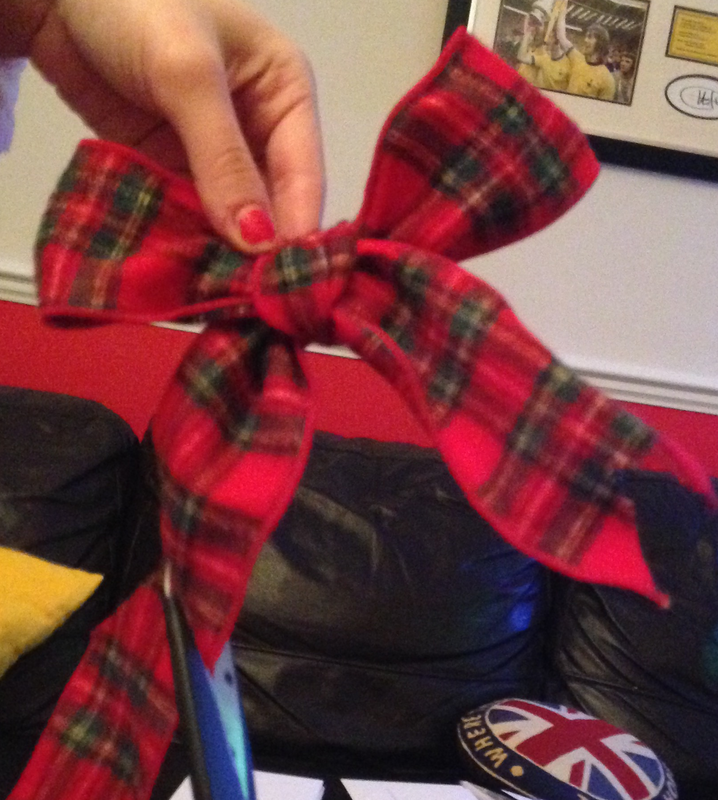 Step 2: Once the ribbon is tied tightly around the wreath. Use the same, or in a different pattern, to make a large bow for top of the wreath and tie it on using green wire that can be twisted and tied as messy as you like at the back because when it is hung up and looking beautiful from the outside, no one can see what is behind. Step 3: Now you can get your sparkle on by adding clusters of little baubles. We chose to do groups of three gold baubles- I particularly loved the one that looked like a disco ball! 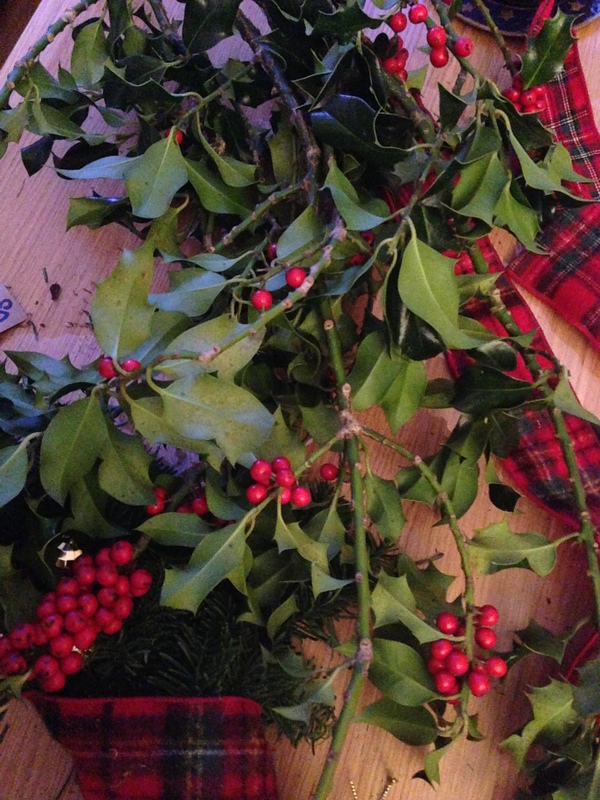 Step 4: Interweave sprigs of holly into the wreath to make it look even more festive and cute. And there you have it your very own front-door masterpiece! 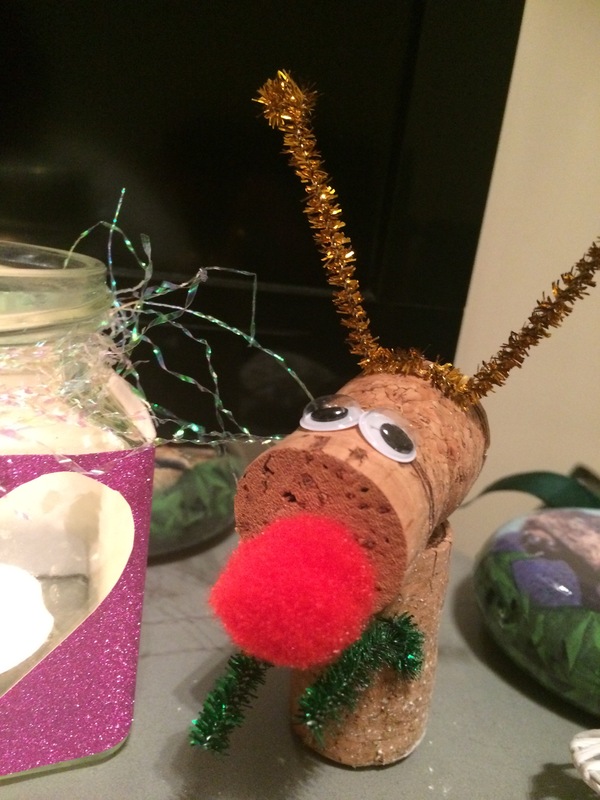 There are many other ways you can do your own homemade Christmas too. 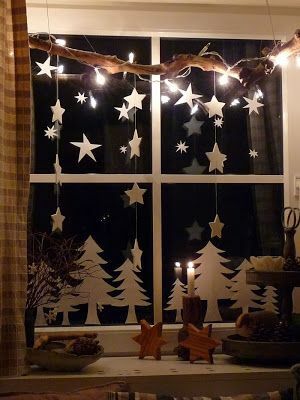 So whether your a creative whizz or like me- not the most talented- these DIY decorations suits all tastes and skill levels. 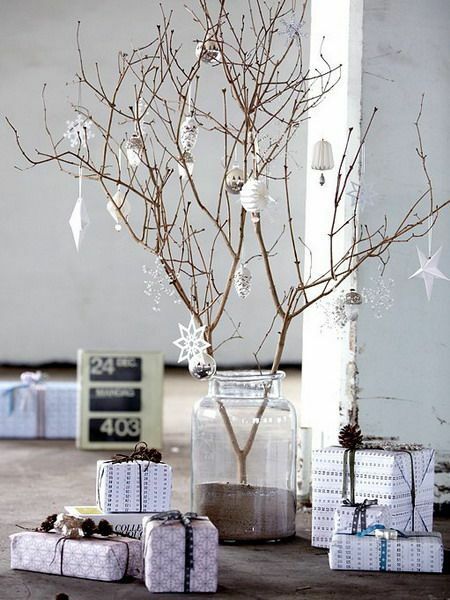 Balance a branch in a clear jar and decorate with white paper decorations for a simple but stylish festive statement. Paper decorations always look fab for celebrations and are so easy and fun to make! Try using wrapping paper for an even more festive look and create a chain of dangling stars which can be hung from walls or ceilings. Silver and gold paper will look especially cute this festive season and if you hang them down your window, you will be sure to bring some festive cheer to passersby. One of my friends had a go at making a Christmas tree out of fairy lights like this one from Pinterest, because he knew he wouldn’t be in his flat for much of the Christmas season- also the perfect student alternative to spending money on a Christmas tree! 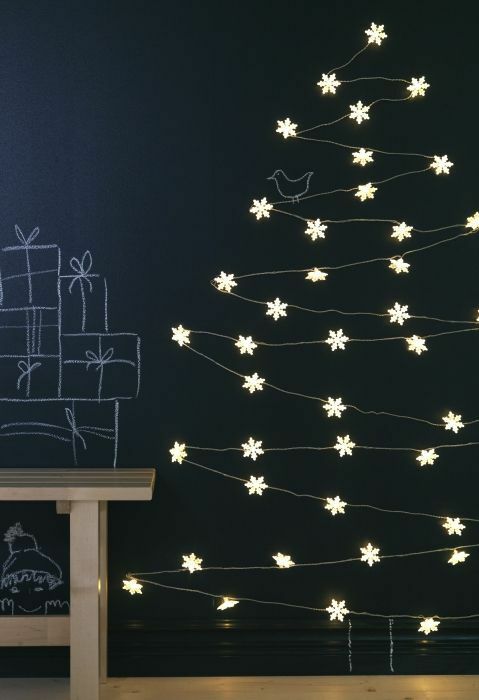 Who would have thought using fairy lights to create the shape of a Christmas tree would look so pretty?! 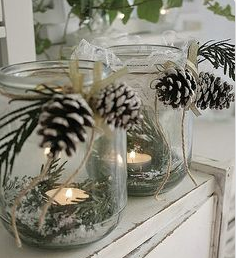 I think these candle jars I saw on Pinterest look great for the festive season and what a great way to re-use items around the house?! Arm yourself with a box of tee lights, some fir tree clippings, clear glass jars, fluffy cotton wool and gold ribbon to create these beautiful Christmas lights. After browsing on Pinterest for more creative ideas, it’s made me want to make even more homemade decorations. So why don’t you give it a go too.